With all the fine weather we’ve been enjoying of late, we’re leaving the heat of the city behind and taking a journey into the countryside for bathroom inspiration. 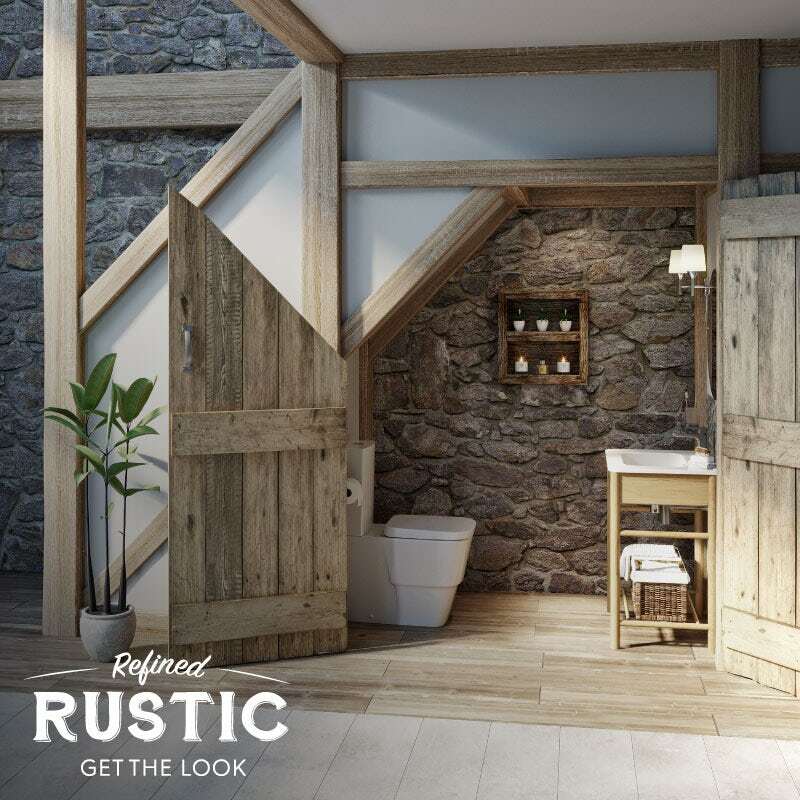 In part 2 of our “Get the look” style guide, we’ll be showing you how the Refined Rustic look can be achieved in a cloakroom or small space. In part 1 of this style guide, I introduced you to the Refined Rustic look. We discovered why it is such a popular style, along with some general tips on making the look work for you. If you haven’t already done so, I’d advise reading this part first and working your way back through. 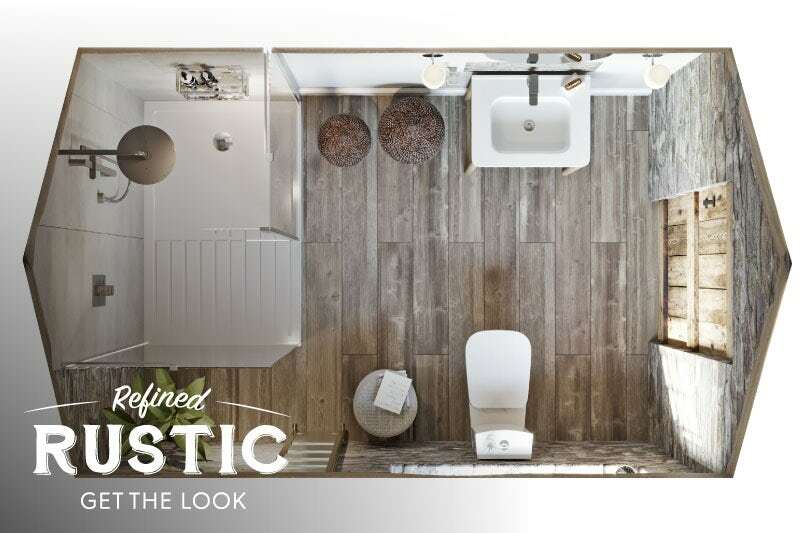 Of course, creating a certain style is all well and good when you have a large space to convert, but how about when it’s just a small bathroom or cloakroom that requires a fresh look? Many older properties were originally designed with the toilet facilities external to the home itself, whilst barn and outhouse conversions would never have contained a bathroom in the first place. So, the great thing is, in many cases, you can start from scratch. Of course, as we explained in part 1, you’ll want your new small bathroom or cloakroom to be sympathetic to the original features of the building, whilst looking contemporary and stylish. 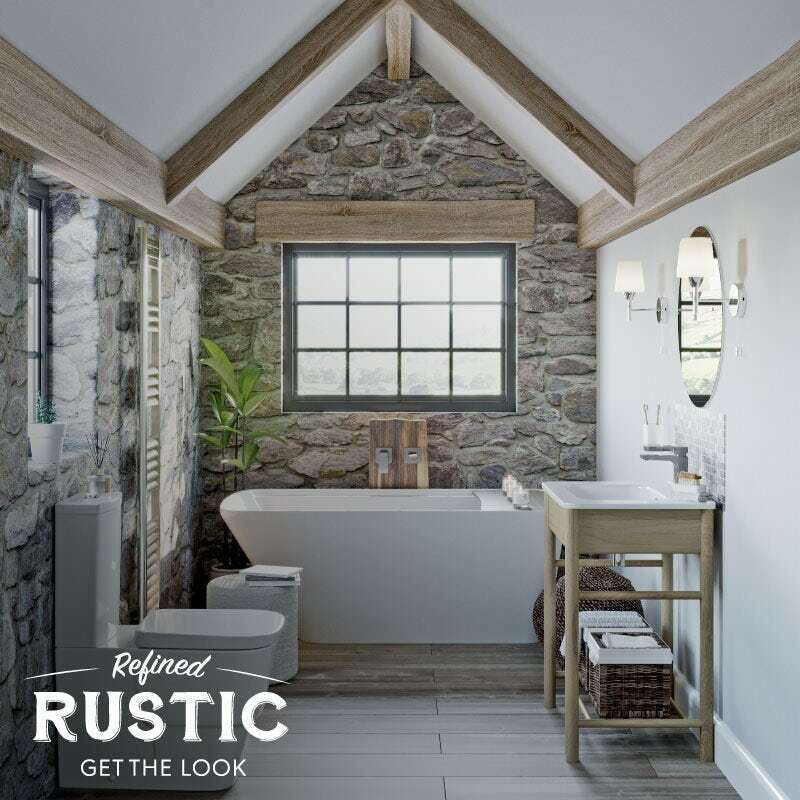 That’s where Refined Rustic really comes into its own. We utilised the often under-used space beneath the staircase to great effect when planning this cloakroom. Instead of having to add a false wall, we’ve simply attached two hinged doors that fit the space. Of course, you would probably leave one closed and use one for entry, but that’s entirely up to you. Headroom is one of the key things to consider when adding a new cloakroom to an understairs area. You need to ensure clearance is comfortable for all users—you don’t want to end up with people stooping or brushing their head on the ceiling when they sit down! Adding new plumbing anywhere can be costly, so why not consider Saniflo products for this type of job. You’ll find a range of macerators available, which reduces waste to liquid form, so it can be discharged by small bore pipe to your main soil stack. In a small bathroom, you will ultimately have to choose between a bath or shower enclosure. Of course, you can choose both if you add a shower bath, however, in this instance, we’ve gone all out for luxury by selecting a freestanding bath. Much like in the cloakroom, we’ve opted for a washstand with a wood finish that really fits with the overall theme. 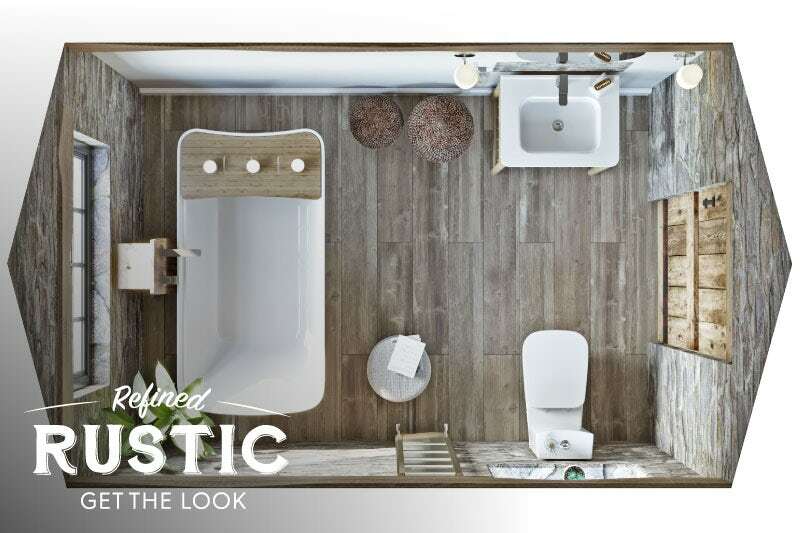 Plus, with a contemporary style toilet and bath, the look is fresh and appealing. One of the key differences between the cloakroom and small bathroom is the fact that additional heating is required. We’ve opted for a slimline heated towel rail, which provides handy hanging space for bath towels. 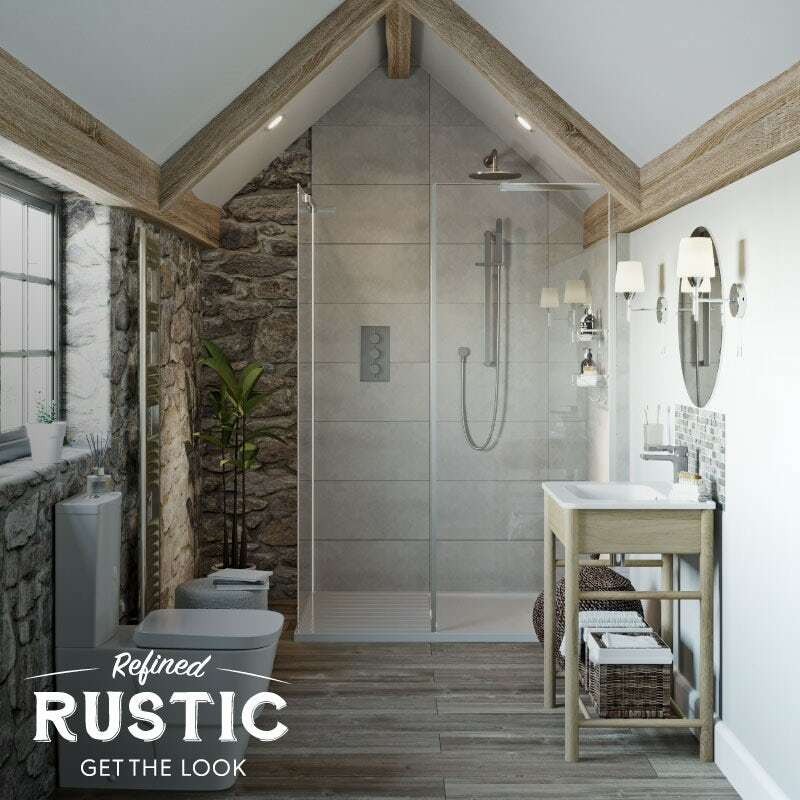 Showers are fast-becoming a more popular option than the traditional bath, so, in this instance, we've decided to swap the tub for a shower enclosure. One of the key things to consider, when choosing your shower enclosure, is the height of your ceiling. It may have a real bearing on whether a more conventional enclosure installation, like the one pictured above, is suitable for your room. With the additional space to the left-hand side of the shower enclosure, we've added a houseplant, which fits with another contemporary bathroom trend. Small spaces require big thinking. So why not discover more small bathroom ideas at VictoriaPlum.com. In part 3, we’ll be heading back to the master bathroom, to demonstrate the colours, textures, finishes, walls and floors and accessories you should choose to achieve this style. Click on the banner below to head to part 3 now.